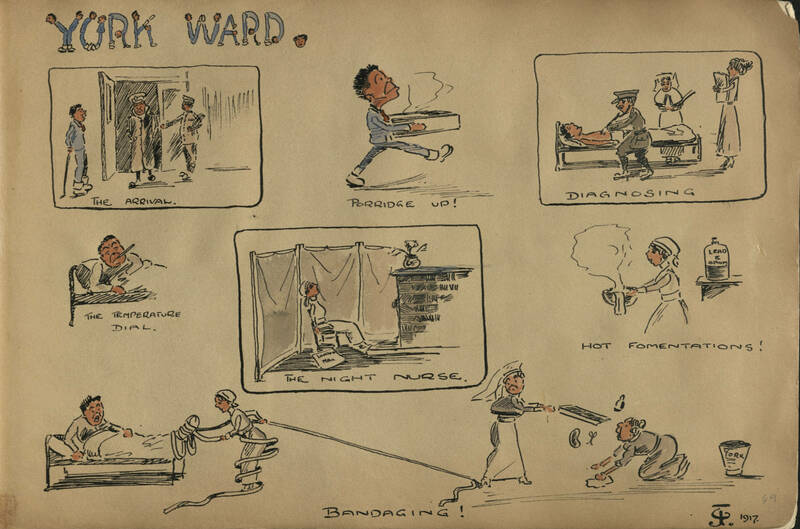 The RCN Library and Heritage Centre has launched a new website – Service Scrapbooks: Nursing and Storytelling in the First World War – that uncovers the memories, experiences and achievements of nurses working in the Great War. Despite being a vital part of the war, the contribution of nurses is often overlooked and the experience of the 17,000 trained nurses who had served in military hospitals by the end of the war is little documented. 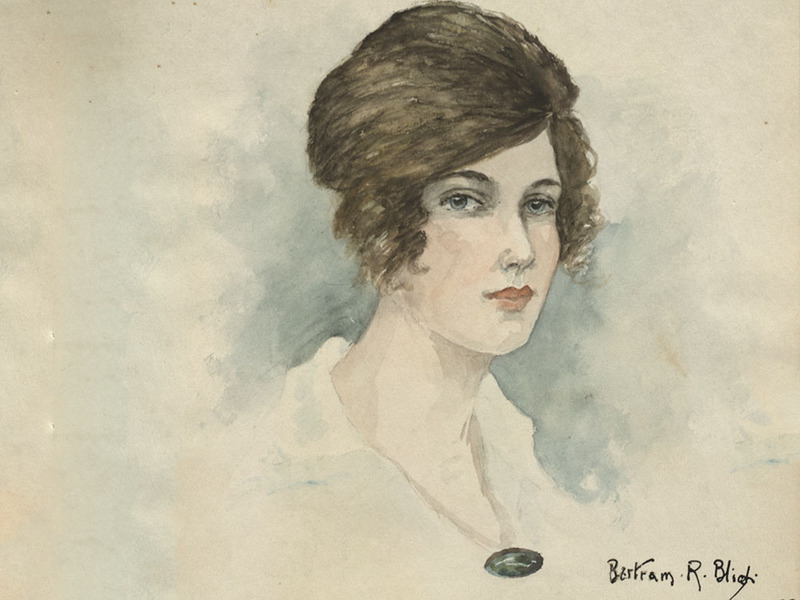 When 10 nurses’ scrapbooks were uncovered in the depths of the RCN archives last year, it offered a special and unique glimpse into the experiences of these nurses, and their patients, during their time of service. 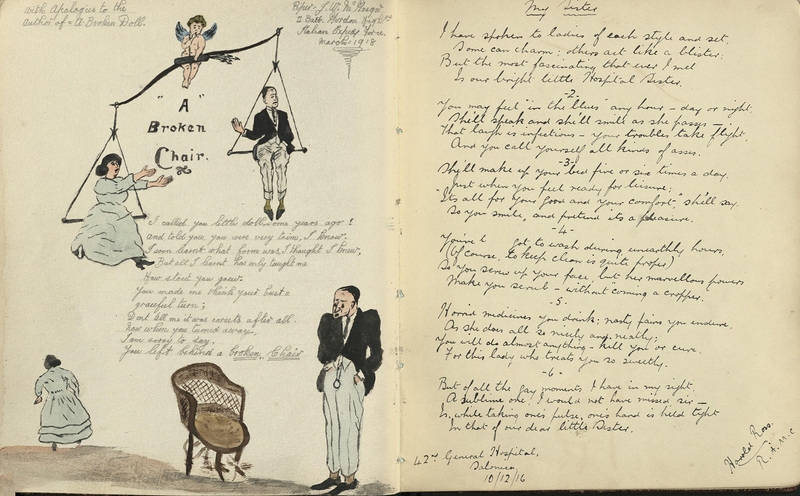 The scrapbooks and diaries are a veritable treasure trove reflecting daily life in hospitals across the UK and abroad. The pages are filled with autographs, doodles, poems, diary entries and musings of the nurses themselves, their colleagues and patients. This discovery was too precious not to share with as many people as possible and it was decided that digitising each page to create a web resource was the best way to do this. This required an enormous amount of work, for which the help of History of Nursing Society members was enlisted. Over the course of the project volunteers digitised nearly 2,000 pages and transcribed over 83,000 words to put online. They also meticulously researched each one of the nurses. Some proved more elusive than others. The name May Wilson, for example, was particularly common and so that particular nurse was hard to find. Other cases, however, produced fantastic results and persistent volunteers were even able to find living relatives of Nellie Carter and Josephine Angois. Thanks to this hard work, each of these incredible nurses now has her own individual biography. 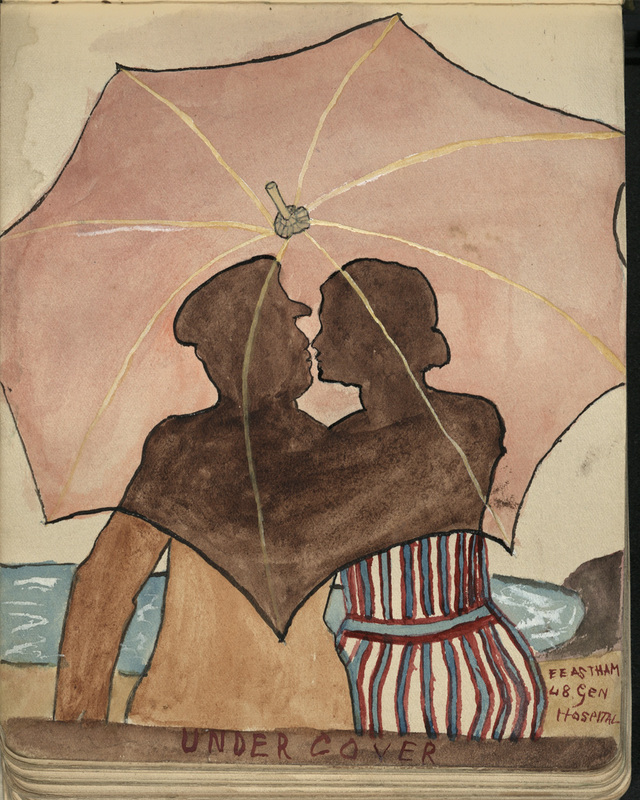 Their stories, along with every page of their digitised scrapbooks can be found on the website. Nellie joined the Queen Alexandra's Imperial Military Nursing Service (QAIMNS) in 1913 and was posted to the Military Families Hospital in County Kildare less than a month later. During the war, she worked on board the hospital ship HMS Asturias and in France. She suffered a nervous breakdown towards the end of the war but later went back to working in military hospitals. Mabel was 27 years old and already working as a nurse when the war started. She signed up to the Territorial Force Nursing Service (TFNS) straight away, first working in a military hospital in Lincoln and then later being posted to Salonica, a military hospital in Greece. History of Nursing Society member Patricia Keegan was researching Josephine Angois for the scrapbooks project when she uncovered another interesting story. Here she shares what she learned about Constance, Duchess of Westminster. It was in 1914 that Constance left her socialite life in London and Chester to set up a hospital in France under her own initiative. Sir Thomas Lipton, the tea magnate, converted his steam yacht Erin to a Red Cross hospital ship and transported the field hospital to Le Havre. The medical officers were led by Major Henry E. M. Douglas while the fully trained nursing staff included a matron and an assistant matron. The committee was congratulated for insisting on trained nurses. On 30 October 1914, the hospital opened in Le Touquet, Paris Plage, a popular holiday spot by the sea. It was housed in a former casino which was fitted out for 150-250 patients and included an X-ray room. … am off tomorrow morning at 7.30. Thank God owing to some kind friends and a very nice lady I have got nearly £1,000 so can keep my much-needed Hospital going still. In October 1915 a simple concert marked the first anniversary of the hospital. Similar events followed and it seems Constance believed it important to lift the spirits of the patients. As casualties increased, the hospital was converted for officers. Members of the Voluntary Aid Detachments, originally trained for service at home, were recruited to work alongside trained staff in the service of the Joint War Committee. We have been most terribly busy here one inrush after another then evacuations as soon as possible and the gas cases were heartrending… one lives in terror of who may come in, and in what state. 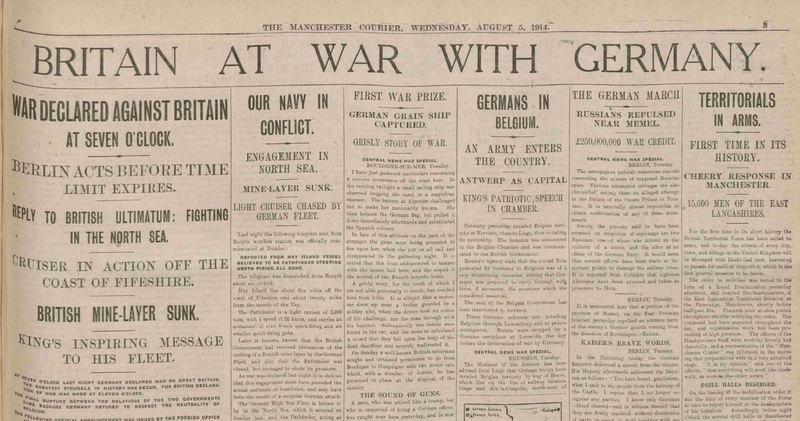 After the war, Constance received the 1914 Star, the Victory Medal and the British War Medal. In the 1918 Birthday Honours list she was invested as Commander of the Order of the British Empire (CBE) for arranging her hospital, in which 15,000 officers had been treated. To read more about these inspirational nurses and their experiences during the Great War, visit the RCN Service Scrapbooks website. This feature was originally published in Nursing History Now, which can be downloaded in full here. This is a publication by the RCN History of Nursing Society. To find out more about the society and to join, visit their webpages.